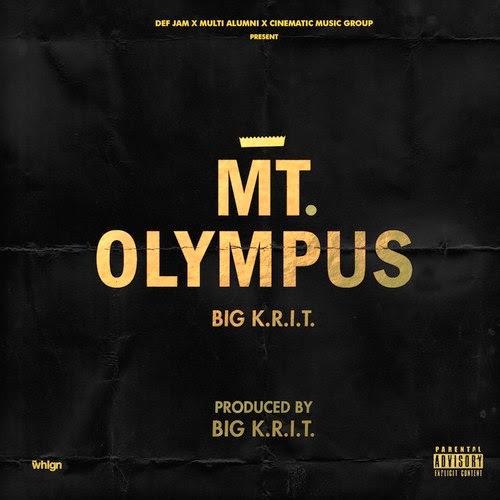 If you haven't heard, Big K.R.I.T. is dropping his second studio album, Cadillactica, later this year (fallish). Without an official tracklist, it is hard to say what will be on the album. But during his "Week of K.R.I.T. ", Krizzle gave us: Steps, Wolf On Wallstreet, Lac Lac, Conscious Effort Freestyle, New Agenda and Egyptian Cotton. And earlier this week we were blessed with the single, Mt. Olympus. It is hard to describe the track without using words like fuego, monster, nuts or amazing. The track is K.R.I.T. 's assertion in his lyrical abilities and announcing his presence among hip-hop's upper echelon emcees. Young Krizzle wants Cadillactica to take him out of his "comfort zones". He has grown lyrically and from a production standpoint that he wants this album to reflect that. Cadillactica is meant to be another "quality" album from an elite emcee. And it Mt. Olympus is any indication of what we can expect, then my only request is DROP IT NOW Krizzle! Please and thank you. Stream Mt. Olympus below. As well as Week of K.R.I.T. tracks. AND the Cadillactica trailer. OK..that's it.